Loooove Burt’s Bees. My Ultra Conditioning lip balm never leaves my side. as usual, another awesome contest!! Thanks so much!! Oh- I LOVE Burts Bees! So natural! wow trying to go more natural. thanks for the giveaway. I love Burts Bees! Thanks! This is fun. Thanks for the giveaway! I still need a Christmas present for my gf! Another great opportunity! Good Luck Everyone! Love Burt’s Bees! And Totally Target! Oh, I love this stuff and am always wanting to try out their different products! AWESOME! Looks cool! Thanks TT, hope you had a nice holiday season! Omgomgomg love! What an awesome giveaway!! Thanks for the giveaway Totally Target!! I’d love to win something! just found your blog. Thanks for posting such great deals and fun contests! I love Burt’s Bees. Thanks for the great giveaway! 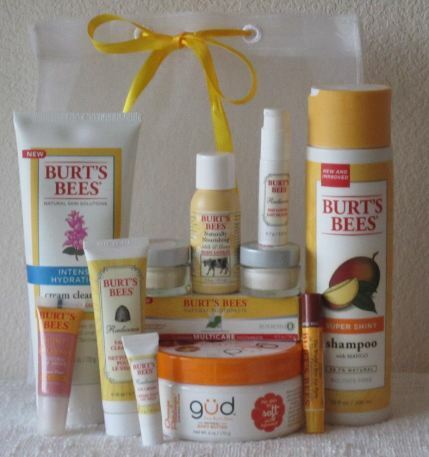 Burt’s Bee’s products are very expencive, so this is an amazing giveaway! Yes please! Thank so much! It would be “TOTALLY”awesome to win this!! Hope everyone has a good New Year! love burt’s bees. thanks for the contest. I love your site, and would love to win the prize pack! Awww… U would love to win some Burt’s bee.. I never win, but I love all your giveaways! Who doesn’t love a Burt’s Bees giveaway? I would love to win-I tried to order these, but Burt’s charged a ton to ship to AK!